Air Conditioning Filters - Anderson Air Conditioning L.P.
Air Conditioning Filters Gone Bad? It happens every day. The most important maintenance task that will ensure the efficiency of your air conditioner is to routinely replace or clean its filters. 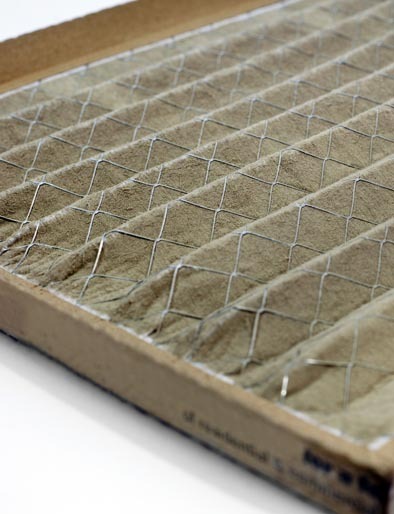 Clogged, dirty filters block normal air flow and reduce a system’s efficiency significantly. With normal air flow obstructed, air that bypasses the filter can carry dirt directly into the evaporator coil and impair the coil’s heat-absorbing capacity. Filters are located somewhere along the return duct’s length. Common filter locations are on rooftops, in walls, ceilings, furnaces, or in the air conditioner itself. Some types of filters are reusable; others must be replaced. 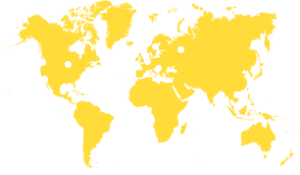 They are available in a variety of types and efficiencies. Clean or replace your air conditioning system’s filter or filters every month or two during the cooling season. Filters may need more frequent attention if the air conditioner is in constant use or is subjected to dusty conditions. Dirty air conditioning filters are a serious and common problem in commercial air conditioning systems. You should have your air conditioning filters checked regularly, depending on the loads placed on your system. Anderson Air Conditioning L.P. will help you to keep your filters clean with one of our regular maintenance service agreements. Just Think of the Environment on Your Property Roof Top. The sun, rain and moisture, dust, soot, and any number of other contaminants are constantly affecting your air conditioning filters. 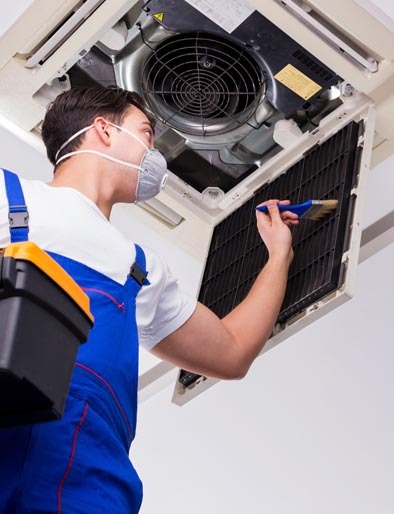 Air conditioning filters can get blocked or damaged easily and because you don’t go up there often, damaged or blocked air conditioning filters can go undetected for long periods of time. We Will Contribute to the Success of Your Operation. Another factor to consider regarding your air conditioning filters is the everyday wear and tear. As filters age and become broken and worn, dust and other contaminants may be allowed to enter your air conditioning system. These old and worn filters should be replaced to prevent more expensive repairs to other parts of your air conditioning system. Old Filters May be Allowing Dust into Your Work Environment. Dust and dirt allowed to enter your air conditioning system through those damaged filters can cause other (more expensive) air conditioning components to malfunction. In addition, the dirt that is being allowed through your air conditioning filters is being spread throughout your work environment. Did you ever wonder why your office is always so dusty? Bad air conditioning filters may be part of the cause. Dirty air conditioning filters may cause an excessive load on your air conditioning system. These dirty filters can cause your system to run longer and work harder, costing you money. Just imagine how much extra time, your air conditioning system has to run because clogged air conditioning filters are blocking its ability to perform. This is a drain on your system as well as your budget. Keep your air conditioning filters clean by setting up a maintenance agreement with Anderson Air Conditioning L.P.. Clean filters save you money. Contact us now.